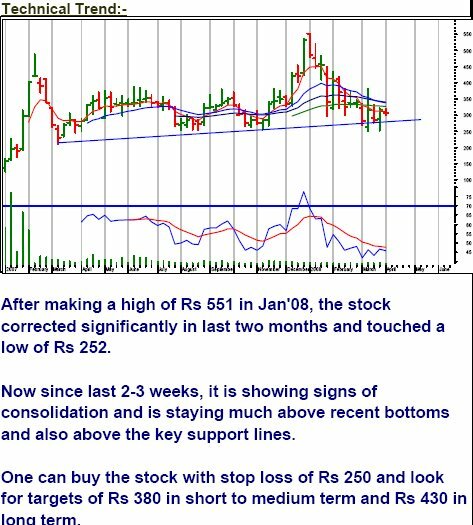 Buy: Pyramid Saimira Theatre Ltd.
of India and hence has the edge in scaling up the number of screens and capturing a major share of the market. Productions Ltd., (PSPL), its subsidiary would also release about 30 films in the four South Indian States in FY09. fairly attractive valuations of 13 times FY-09 earnings. PSTL is well poised to ride the growth prospects of the entertainment industry. StockM – NSE Realtime Datafeed for Amibroker and Metastock Stock M Solution is providing free Realtime Datafeed for Amibroker and Metatrader software as 1 Month free Trial on NSE Cash Scripts.